As I sat next to a woman at the Alzheimer’s Association Conference, I listened to her story about her husband’s diagnosis. A man in his 60’s, he was recently diagnosed with MCI (Minimal Cognitive Impairment). I learned that 60% of those with this impairment eventually develop Alzheimer’s. This man is still working at the same company but in a less demanding position. The couple is still trying to keep to their normal schedule and live their lives. But, she reported frustration about his tendency for repetition of each thing he said and the clear indication that his memory was diminished. The signs of his disease are escalating just as the couple are planning a trip to Central America. But the thing that stood out for me was that this caregiver’s understanding of the road ahead was just beginning to unfold. As she began to share, she told those sitting close to her that the conference really saddened her. She explained that she understood intellectually that she was a caregiver. But, the information presented made her experience her new role in life in a profound encompassing way. It was beginning to sink in. Life will never be the same. I often think of Alzheimer’s Disease and the other Dementias as the “Invasion of the Brain Snatchers”. The plaques and tangles known as Amyloid and Tau associated with the disease grow like a cancer eventually killing the brain. Currently, there is no cure or medication to slow this process. Current medications work on a limited basis and there are only a few of those that have been available for some time. The devastation of the person’s function and assault on families is riveting. I too am saddened by these conferences and by the families I have served for many years. Along with my sadness, there are also some beacons of light that could only be described as hopeful! Big problems deserve new perspectives. Dr. Wolk, a neurologist at the University of Pennsylvania, is the Co-Director of Penn’s Memory Center. He presented a new way of addressing this culprit. In the past, a search for a cure upheld the position that the Dementia’s (Alzheimer’s Disease is just one under the general umbrella of Dementia) should not be approached as a uniform disease. Cancer was once viewed in that way. But, now that we have more refined imaging tools such as structural MRI’s and PET scans, we can see firsthand the damage perpetuated by the onslaught and evolution of these diseases. In the past, an autopsy was the only way to definitively diagnose Alzheimer’s Disease. Through imaging techniques and spinal fluid, a specific diagnosis is possible. For example, two different people may have Alzheimer’s Disease, but these tests reveal abnormalities in different areas of the brain. Just like cancer, we can study each person’s disease and hopefully tailor treatment to their specific presentation and its effect. Our ability to accurately diagnose is now possible. Different drug targets lead to the development of more efficacious drugs. This is an important paradigm shift! Currently, there is a new medication in phase 3 trials. This medication, Aducanumab by Biogen, has demonstrated that it can remove Amyloid from the brain. Whether this leads to some remediation of symptoms is too early to tell and somewhat controversial. But, the fact that we are making progress can only lead to more drug development and important clues for better treatment. This is hopeful! 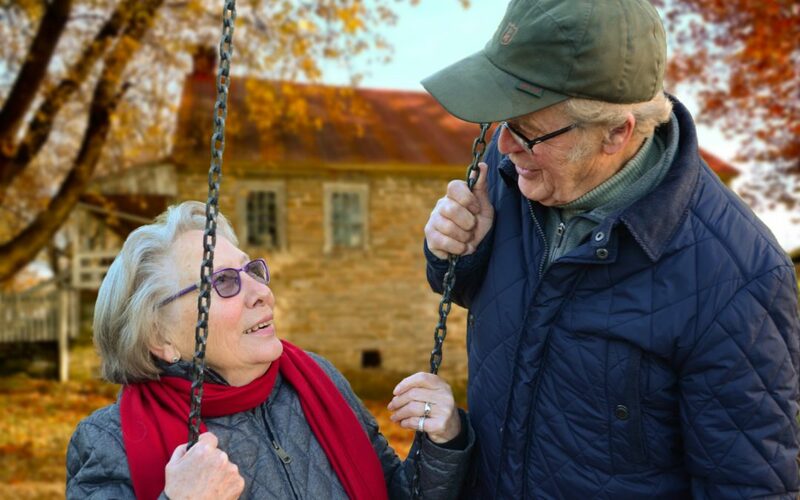 While caregivers hope for the future, they must live in the present shouldering the burden of care and understanding of their loved one and their escalating needs. There were some thought provoking insights into a means of being with this reality. Language is so important and Dr. Stephen Post, a psychologist from Stony Brook University School of Medicine, has coined the phrase “deeply forgetful”. He reminded us that those with Dementia are not gone. They continue to be creative and appreciate music and poetry. A former client of ours became an excellent drummer and music has been seen to evoke attention and delight in those with even severe dementia. Dr. Post talked about our “hypercognitive values” and how our culture has evolved in that direction. Those with dementia are truly in the moment and may be a bridge to helping us do the same. Rabbi Dayle Friedman spoke about the ability to experience the capacity for unabated joy and love that she sees with those who are deeply forgetful. Keep in mind, the person is still there but they will be expressing themselves in unique ways. This causes us to consider learning more from resources which help us to learn the “language” of Dementia. This education is a means to understand and reach the people we love. I am not surprised that I felt some degree of sadness after attending this year’s conference. But, combined with that sadness was some very real hope and resolve to putting these horrendous diseases out to pasture. Education is so important for the newly diagnosed and support groups are a God-send offering the expert advice of caregivers who are living it. Such ideas as obtaining an Alzheimer dog is another great suggestion. In Scotland, the government provides these dogs to all citizens with the disease. We need to support federal programs such as the National Institute of Health to keep Alzheimer’s Disease at the top of their list. Of equal importance, is to support a National Alzheimer’s Plan in our country. The Alzheimer’s Association is the key organization that helps all of us. Support for caregivers is not an option, it is a necessity. Both the Alzheimer’s Association and Aging Life Care Professionals can be engaged for ongoing support, education, resources, and guides on the path. We can view those with deep forgetting as people contributing to us as they are. Our loved ones are not the disease; our loved ones have the disease. In the words of CS Lewis, You don’t have a soul. You are a soul. You have a body. Complete Care Strategies consists of Aging Life Care Professionals, and offers a free Helpline to provide support, resources, and advocacy. Call us at 888-433-0040. We are a phone call away!